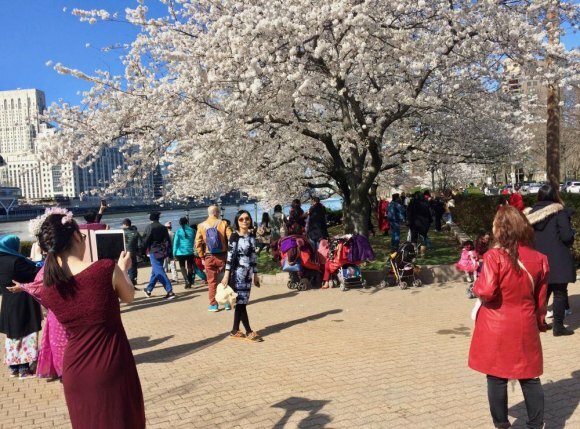 Perfect timing for blossoms and gorgeous weather brought visitors flocking to the 2018 Cherry Blossom Festival. 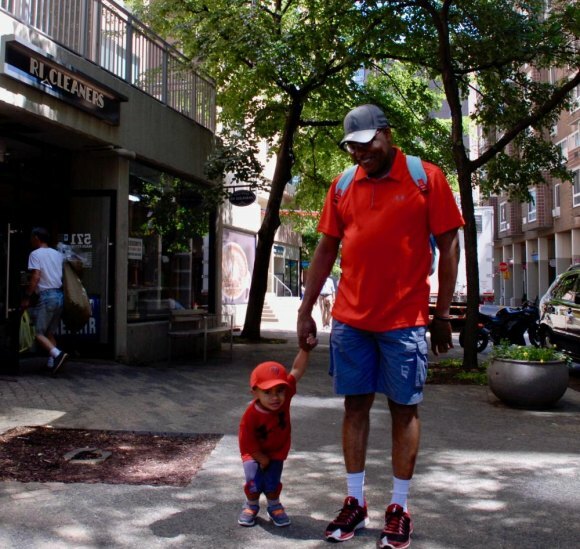 It's impossible to record every event and others will always see things differently, but in the first of two parts, the Roosevelt Island Daily offers a visual reflection of Roosevelt Island in 2018, from January to June. 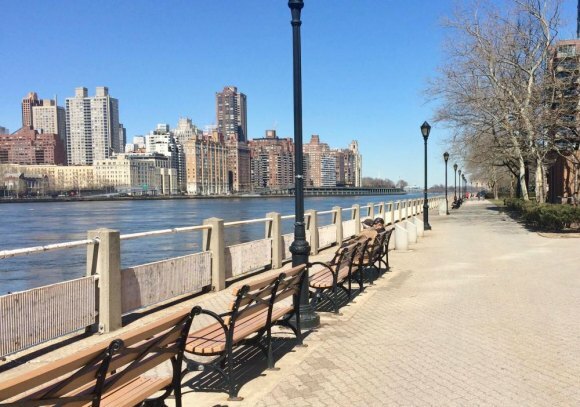 Promenade Upgrade: World's Fair style benches made watching the river flow and the skyline more enjoyable than ever, courtesy of RIOC. 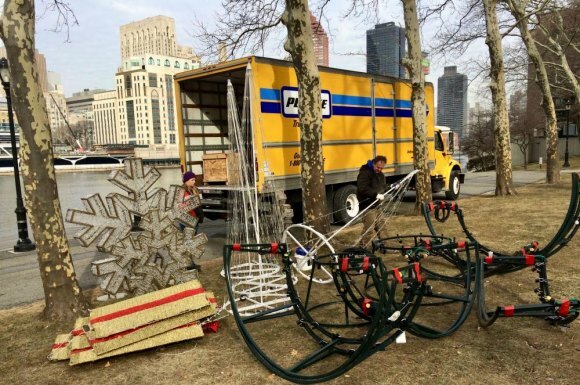 In January, Winter Wonderland decorations disassembled for carting away. 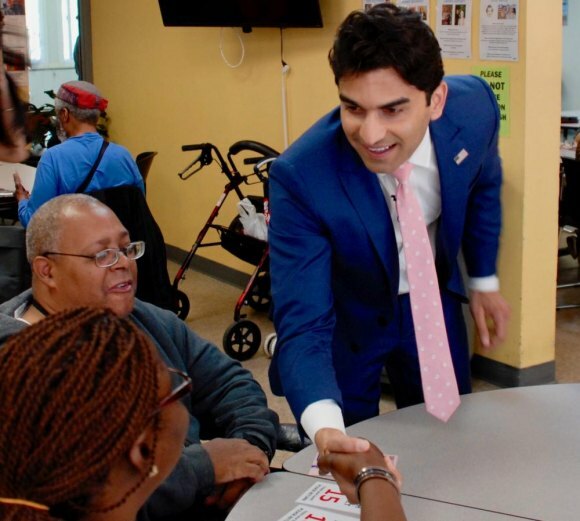 Progressive congressional candidate Suraj Patel came to visit Roosevelt Island Seniors. 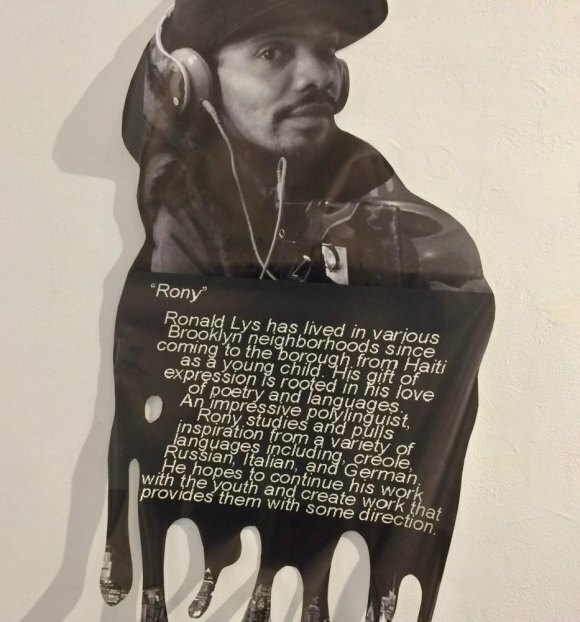 Slam Poet Rony Lys brought his artwork to Gallery RIVAA in a group show featuring creative minds from Coler Rehabilitation. 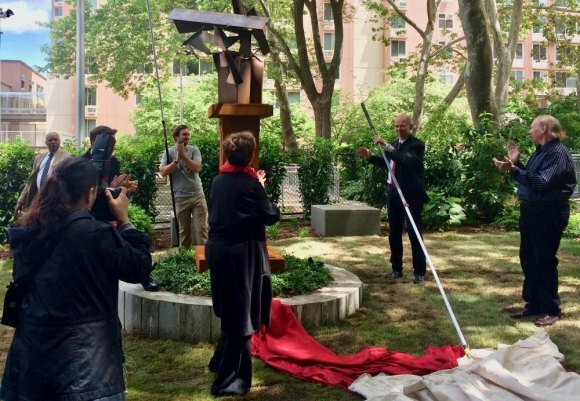 The new Plinth in Good Shepherd Plaza unveiled along with its premiere sculpture. 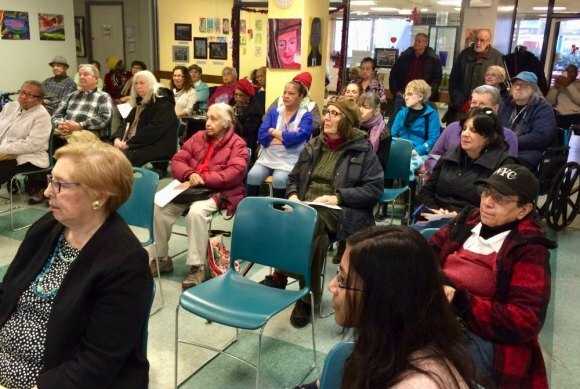 February, Seniors packed the house for the Carter Burden Network's annual meeting. 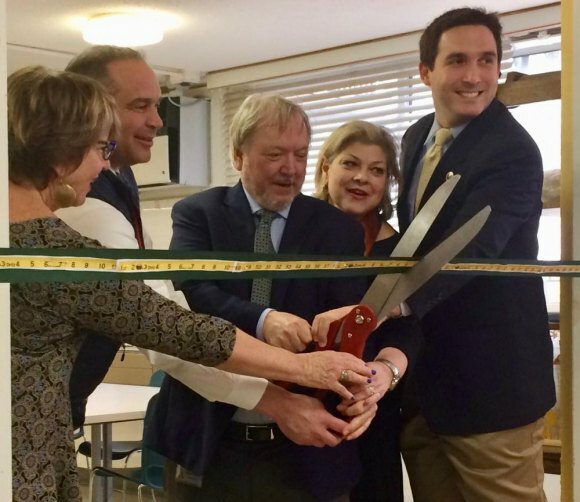 RIOC President/CEO Susan Rosenthal and Council Member Ben Kallos helped CBN cut the ribbon for a new sewing program sponsored by Ravenswood Power Plant's operators. 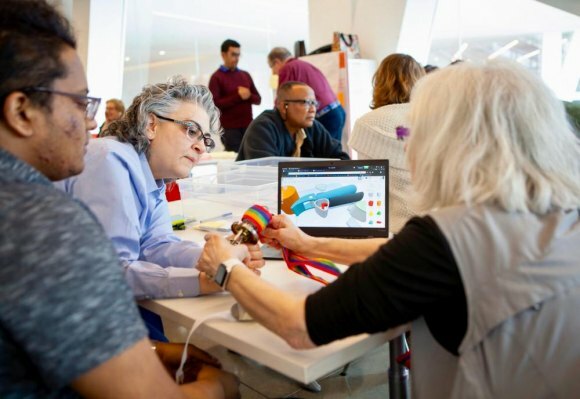 At Cornell Tech, Make Lab contributors demonstrate collaborative products created from Roosevelt Island ideas. 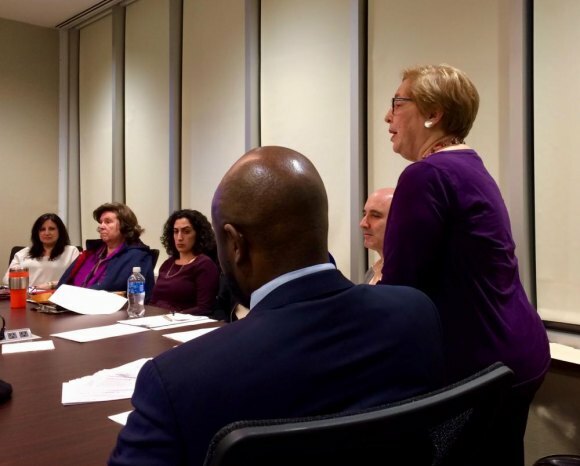 Historian Judith Berdy appeals to RIOC's Board over Hudson/Related's proposed "RI Monument" in the Tram Plaza. 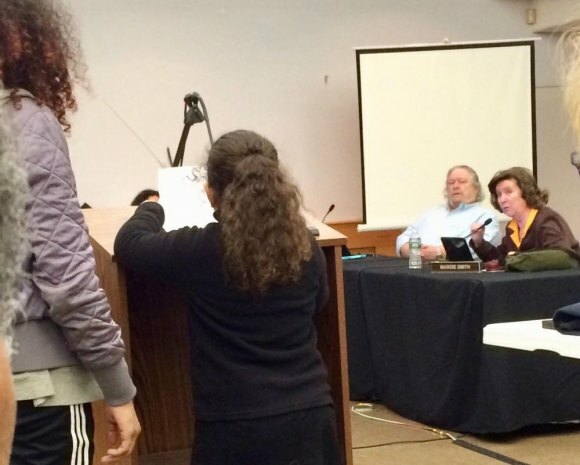 Emily Diaz eloquently, and to no avail, pleaded with RIOC's Board to save the Roosevelt Island Youth Program. 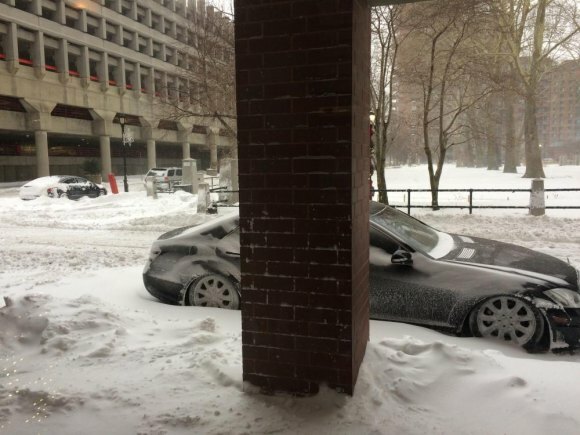 A January snowstorm brought traffic to a halt. 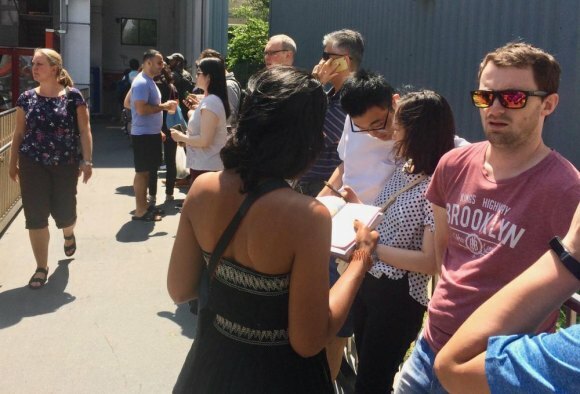 A summer with partial Tram and subway shutdowns meant several days of long lines waiting to cross the East River. 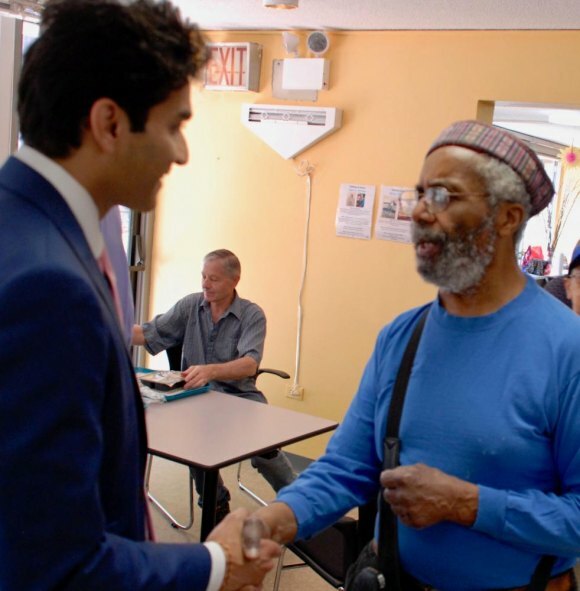 Legendary pianist Roy Eaton offers Suraj Patel his insights on the political state of Roosevelt Island. 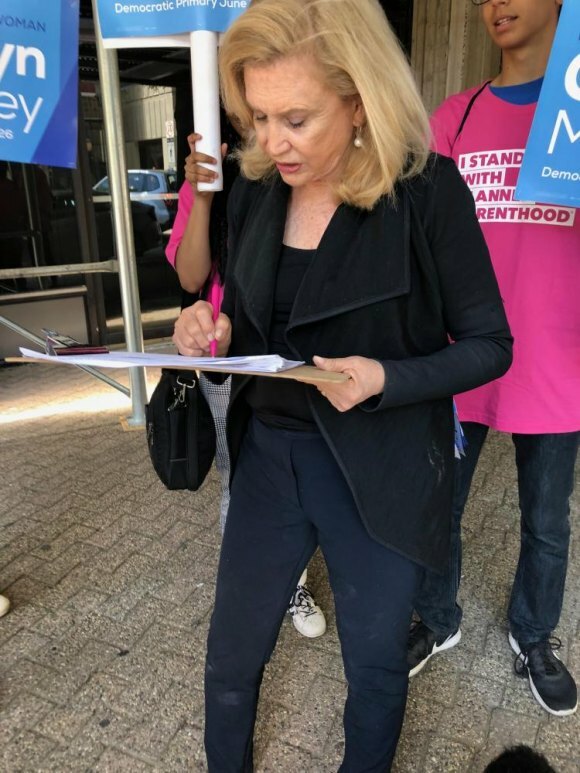 Congresswoman Carolyn Maloney signed a petition supporting Wildlife Freedom Foundation's Cat Sanctuary on Roosevelt Island Day.